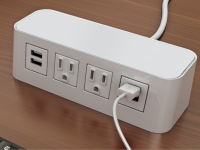 For a convenient and efficient way to power your electronics from your desktop, consider built-in power and data units. 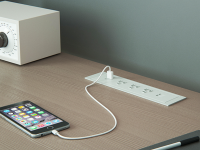 Whether you're a individual tired of searching below your desk for an outlet, or a company looking for a convenient powering mechanism for the boardroom, there are plenty of desk power receptacle options for your powering needs. 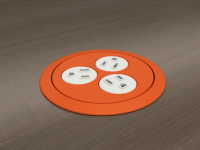 Grommets are a classic go-to when it comes to desk power units; they line the holes in desktops, floors, countertops and virtually any surface in need of cable access. 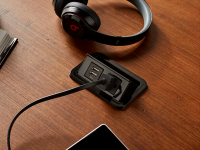 They provide abrasion protection from the cut edges of the holes and keep all wires bundled together neatly, so you don't have to worry about a jumbled mess of cords on your work surface. 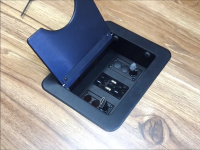 What kinds of desk grommets should I look for? 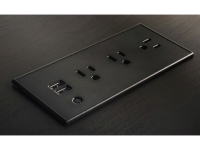 While all powered desk grommets essentially provide the same function, there are different types to choose from based on your specific desktop needs. A classic option you may consider is the PowerTap grommet. 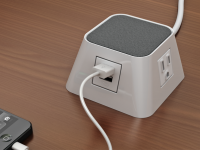 One side of the grommet offers three ground power outlets and two Ethernet connection ports, while the other side offers a sleek and visually pleasing cover for when you do not need access to power. 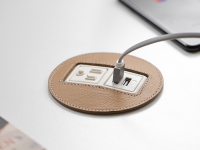 The grommet provides a 180-degree rotation from side to side with just the tap or pull of your finger, proving it to be a majorly convenient option for your desktop. 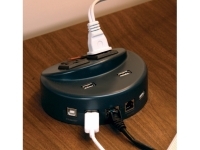 Since it delivers a variety of power access points as well, it prevents you from buying more grommets than you need, virtually saving you space and money. 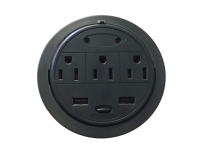 If you prefer a different mode of data and power desk outlet protection, another option for power grommets is one with a metal surface and a flip-up lid. 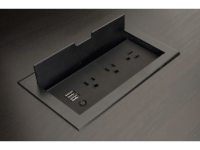 The T3-series of Table Boxes fits this category well and provides extra durability thanks to their steel exterior. 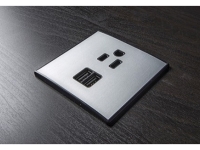 Their compact size and sleek appearance remains unobtrusive and visually appealing for your workspace. While it is mainly suitable for a single user desktop, it contains enough resilience for constant use from different users. 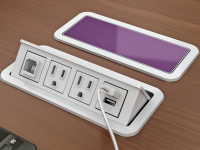 What other power desk outlets are there available? 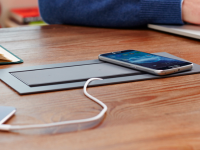 Other forms of desk power are equally as convenient and obtainable. 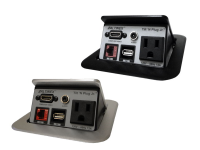 Similar to the built in power desk grommets, Mini-Port® and Interport® desk units provide pop up desk power through outlets and Ethernet connections that are accessible with just one touch. 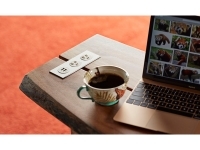 Their easy open-close mechanism provides all these necessities while maintaining a low profile. 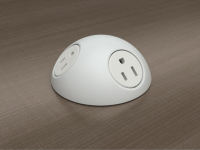 They're also design-friendly, available in various colors and soft finishes. 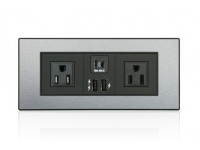 For company meetings and presentation purposes, the Altinex Tilt 'N Plug™ series of power data centers are a useful option. 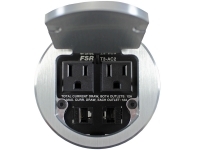 Like other power outlet and Ethernet desk grommets, this series provides a compact structure that integrates seamlessly with work surfaces while still providing power and data. 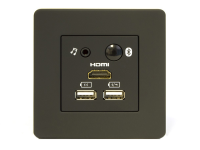 It provides multi-media and AC power connectors for your company's computer video and audio needs, making it the perfect option for your next boardroom meeting or conference. 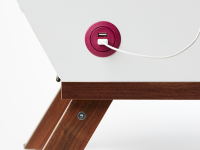 Alternatively, using a modular tabletop interconnect box is another viable option. 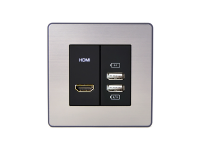 They're specifically engineered for boardrooms and conference rooms, providing many more connectivity options thanks to their selection of modules that can be easily snapped in place. 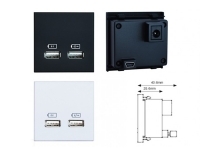 The Altinex Cable-Nook, for example, carries modules such as power outlets, RJ-45, RJ-11, RCA, USB-B female and snap in port plates, making this unit multi-functional and compatible like other power and USB desk grommets. 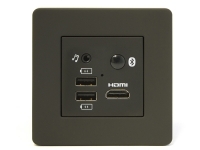 I've never installed a built-in power and data unit before - is it difficult? Nope! 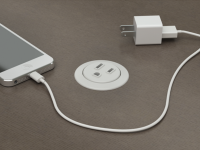 While some may prefer having their grommets or units installed by a professional, it is perfectly doable (and easy) to install them yourself. 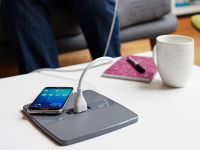 Choosing the right desktop power unit to suit your needs can be overwhelming, but with the right knowledge and products it doesn't have to be. Have a look at our range for some variety (and inspiration).